📅 March 2017 February 5, 2019 by Bruno B. What makes the Philippines such a special and unique country? I’ve visited Philippines in late 2016 and got hooked. Stunning landscapes, friendly people and an insight of a chilled and happier way of living makes me want to come back since then. But what exactly about the Philippines is so special? Why does it seem to be in the bucket list of every traveler nowadays? 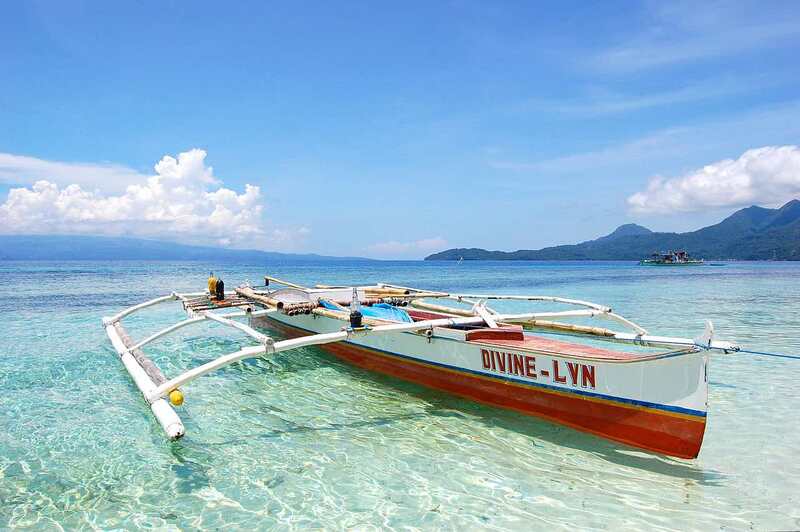 Well here are 29 reasons why you should visit the Philippines. And fast. You’ll understand why. Let’s get started! 1You can start having fun before getting there. Filipinos have a tremendous sense of humour and that is clear even on the planes getting there. Cebu Pacific’s games and quizzes while you’re mid-air were one of my most interesting flights ever. Sadly, I didn’t win anything but these little details that make the slogan true: It’s more fun in the Philippines! 2You can swim with turtles. Apo Island is a tiny island in the Negros province. It’s known as one of the best marine sanctuary in the world and the underwater life is incredible. Apart from hundreds of corals, starfish and colorful species of fish – including lots of Nemos – it’s also a feeding place for giant sea tortoises. Snorkel surrounded by these fascinating animals, while they swim, eat and rise to the surface to breathe was a-ma-zing. I can safely say was my #1 experience in the Philippines. 3They are all about sustainable travel. For my surprise, it was easy to find sustainable businesses, from eco-diving companies and tours to locally run home stays and restaurants. The concern with plastic waste in the ocean is a big thing in places like El Nido where straws are not served in bars and restaurants. When it comes to responsible travel and ecological concerns, the Philippines seem to be one step ahead than its neighbours in Southeast Asia. They have their waste problems as well but in a different scale and personally I found this refreshing! With 2,800+ different species of fish, 5,000+ species of clams and my other claims of a rich underwater world, the Philippines are one of the best countries for scuba diving in the entire world. Coron: rich underwater life and many shipwrecks to explore. Find some more diving spots here. 5The rice terraces are to die for. This would look cool on your Instagram gallery. The Philippines might be a wonder in terms of lagoons, beaches and volcanoes, but the natural landscapes portfolio doesn’t end there. 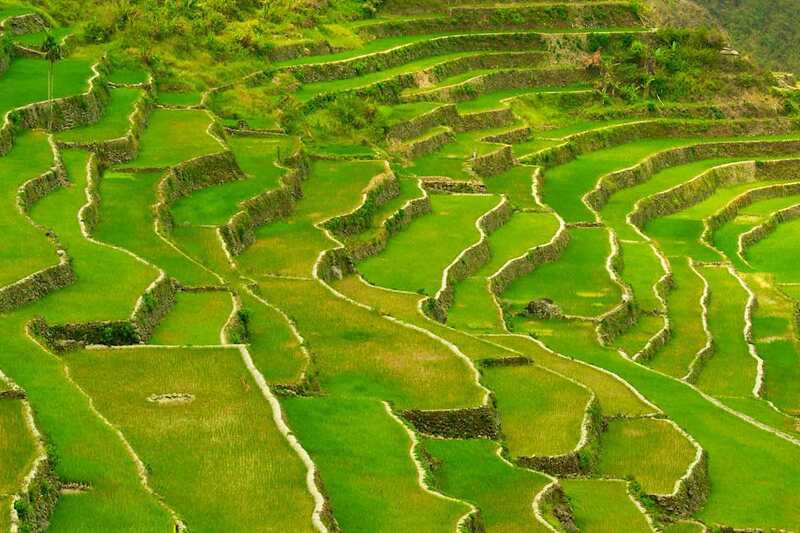 The 2000-year-old Banaue’s rice terraces in Northern Luzón boast towering stone constructions that can rise to nearly 3,000 metres. The place is a UNESCO World Heritage Site. Whether you enjoy it or not, there’s a traditionally Filipino dessert you absolutely need to try. Halo-halo is a rather eclectic mix of shaved ice, syrup, marshmallows, tubers, jelly and fruit. Definitely one of the most interesting food combinations I’ve tried! Many Filipinos believe his little island in the Visayas archipelago is cursed and filled with rites of black magic. Some even refuse to put their feet there. Well I’m glad I did. No bewitching to report and I feel blessed to have explored such an authentic place. The sunsets in San Juan are out of this world, swimming in the Cambugahay Falls was refreshing and I’ve even got to try a natural fish spa beneath a 400-year-old tree. 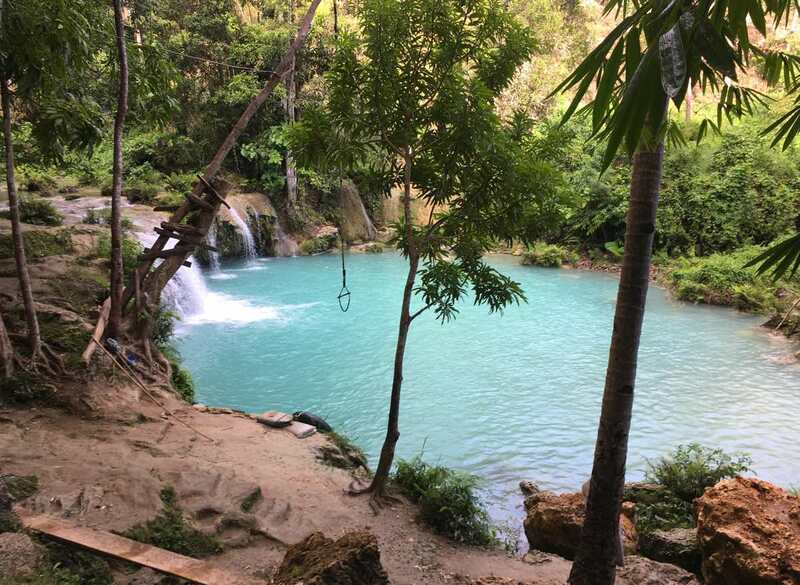 I’ve written about all these must visit spots in Siquijor. 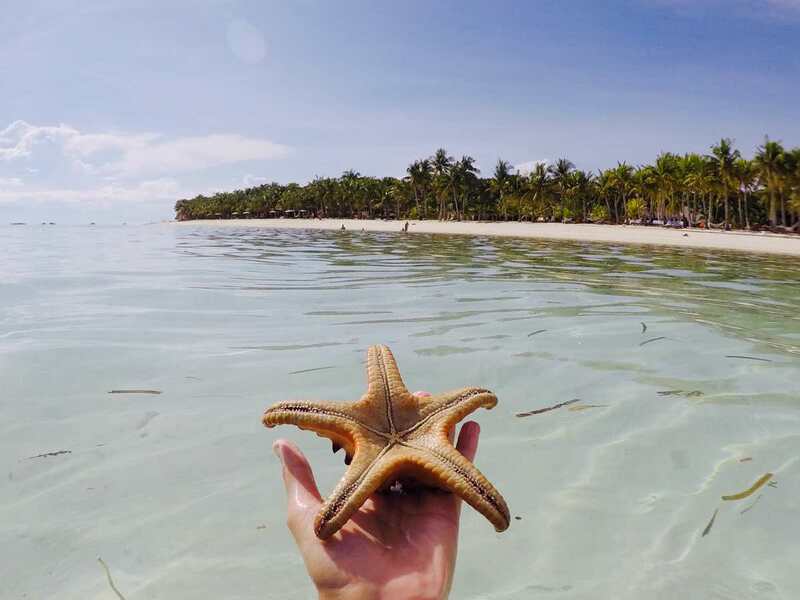 If you’re planning to go, take a look at my full Siquijor guide and itinerary. 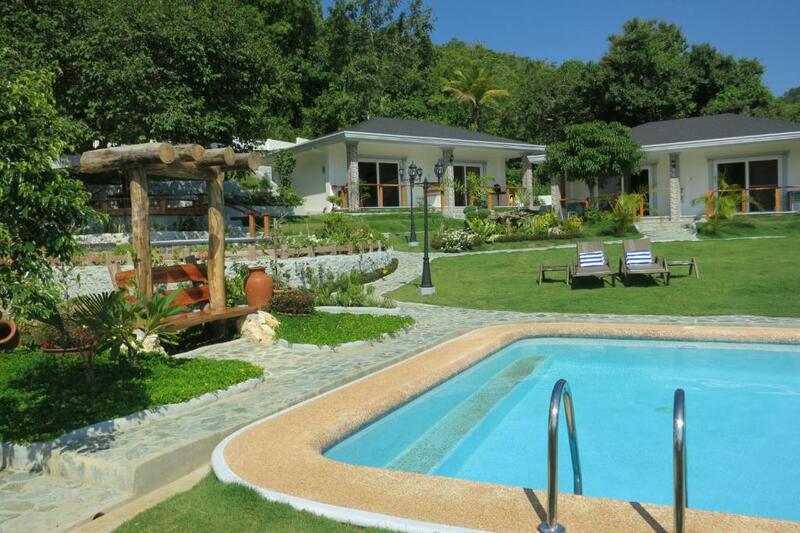 Siquijor is a small island but there are more choices. 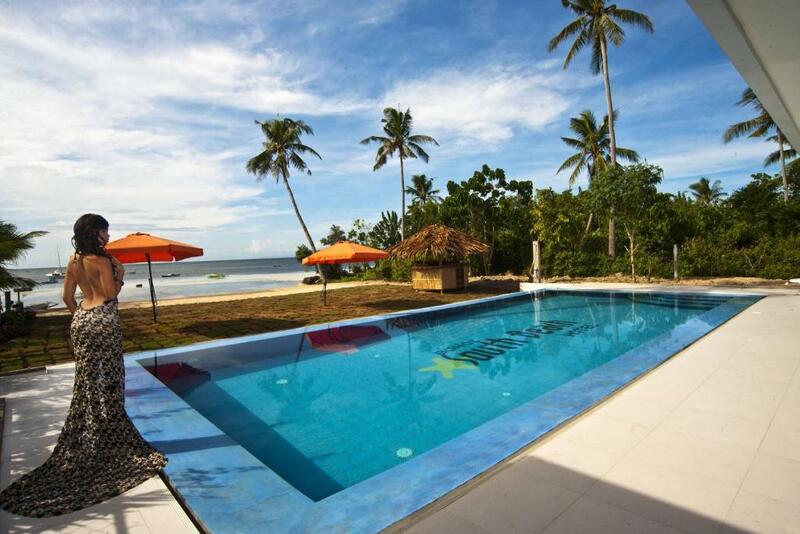 To make your life easier, I’ve put together a shortlist of the top-rated hotels and resorts in Siquijor, with WiFi included. Enjoy! 8You can swim with whale sharks. This is one of the most popular bucket-list activities in the country and it’s easy to see why. Swimming with the whale sharks in places like Donzol (Luzon island) or Oslob (in Cebu) is a once in a lifetime experience. However, just because you can do it, does not mean you should. Marine biologists and animal-right group supports claim these activities disrupt the natural feeding habits of these large animals and can even impact negatively their annual migration routes. Worse, there have been reports of sharks being hit by boats and even stupid people riding them. That’s why I CHOSE not to do it. Read more about the impact of these tours here. When coming to the Philippines, this is impossible to miss. Filipino people are one of the most humble, helpful and kind you can find anywhere on the planet. They’ll go the extra mile to make you feel at home and will treat you with deep respect. Ah and a big plus: their English is phenomenal, which leads me to my next point. In a region where the overall level of other languages is just decent at best, I was amazed by knowing that more than 90% (!) of Filipinos can speak English. And pretty amazing English, I would say. Basically there is no language barrier. 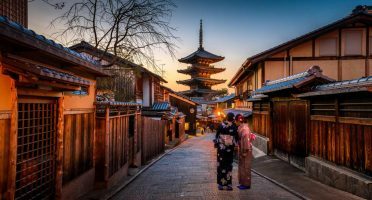 This is good not only for first timers or “language-lazy” travelers, but it makes sharing stories and experiences much easier and interesting for everyone going there. Located in the Pacific Ring of Fire, it’s no surprise the Philippines have a good dose of volcanos ready to be explored. There are some more than 30 hikeable volcanoes scattered across the nation, like the Mount Pinatubo, Mount Mayon in Bicol or the more off the beaten track Camiguin, in Mindanao. On the way there you are sure to find lakes, caves and other amazing nature landscapes. 12It’s one of those places where it’s all about the journey. I really like to live by this motto everywhere I go, but it never rang so true as in the Philippines. Maybe because the country is still not very well connected, the distances to cover are huge or most places are still very remote. This can create some problems in the logistics but at the same time adds a whole new layer of adventure and spontaneity to your trip. My favorite memory of Bohol is to drive around the island in the motorbike through the paddy fields while smiling back to random school children. The more you let yourself to adventure, the more rewarding the experience will be. With an impressive set of landscapes – beaches, forests, caves and volcanoes and much more – I’ve no doubt the Phils is one of most scenic country in the world. Perhaps the most surreal scenery is find in the Chocolate Hills in the island of Bohol. These 1,200+ individual same-sized hills range from 30 to 50 meters in height and are covered in green grass (not chocolate, sorry to disappoint!). No one really knows how these were formed, but they look awesome and definitely a highlight of my time there. Bohol has a lot to offer but visiting this was ticking off an item in the bucket list! Jeepneys are basically drag versions of public buses. The vehicles are actually remains of the US army left behind after the Second World War that have been individually decorated with crazy colors and slogans. They get incredibly crowded – you’ll most likely see people riding them on the roof – they’re a great opportunity to chat with locals and explore the surroundings like a local. Also, did you know a recent rule by the Government now DEMANDS they have a religion-inspired quote on their back? 15The beaches look straight out from a travel magazine. If I ever stop blogging, you can find me here. How can I describe beaches in the Philippines? Humm… Heaven? Yes, that’s it. 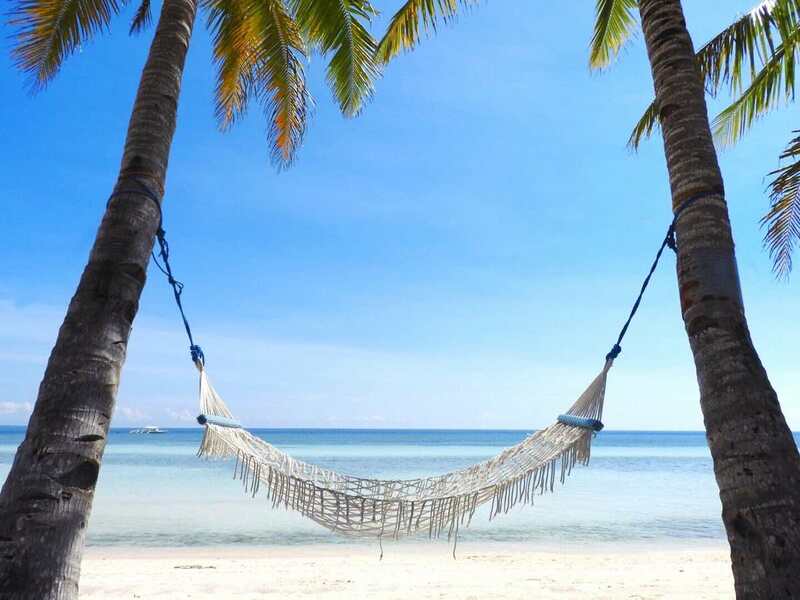 The resort-packed beaches in Boracay, the pristine paradises in Panglao or the exotic Nacpan twin beach in Palawan, considered one of the top 10 in the world. With a total of 7,107 islands in the country, I’m pretty sure there is a beach for every type of beach-bummer traveler in the Philippines. 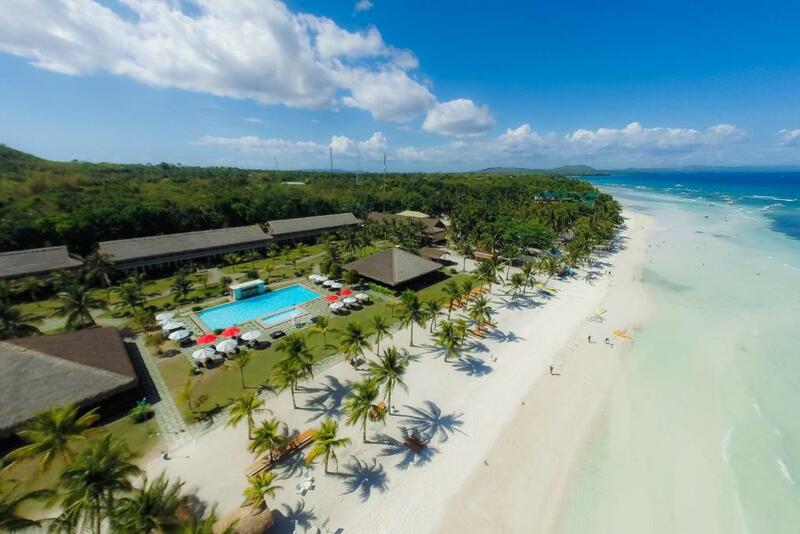 With the exception of Alona Beach in Bohol – that one was a disappointment – prepare to dazzle with long stretches of soft light sand and vivid turquoise warm waters. Huge palm trees complete the relaxing scenario. The beaches you see in travel brochures are real there. 16The smallest and rarest primate in the world lives there. Ever heard of tarsiers? I hadn’t until my visit either. They’re small primates about the size of a human fist (!) which only live in some Asian islands in Malaysia, Indonesia and Philippines only. They are also one of the most endangered species worldwide, with only about 130 animals left in the wild. Seeing these adorable creatures is one of the most popular things to do in Bohol island and a must if you’re an animal lover. They’re the sweeter version of Gremlins! 17The weather is tropical warm. 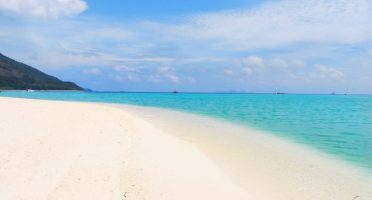 While the best time to go to the Philippines is between November and May, the weather in the islands does not reach extremes. Even in the rainy season (June-October) there’s something about swimming in the sea when it’s pouring. Oh and the water remains constant at 30°C. 18There are many festivals and parties to keep you busy. You won’t get bored in the Philippines. Locals know how to get fun and there is a long list of festivals waiting for you to join the fiesta. These festivals usually involve grandious parades, flowers and colorful costumes and is an opportunity for close insights with Filipino’s culture and traditions. Here are some of the most popular fiestas. Ati-Atihan Festival @ Kalibo (January). Expect tribal dances, indigenous custumes and loads of drumbeats. Sinulog Festival, @ Cebu City (January). Colorful festival in honor of Sto Niño. 4 million people attend it! Dinagyang Festival @ Iloilo (January). Some say it’s the best in the entire country. Don’t miss the Kasadyahan Street Dancing contest! Panagbenga Festival, @ Baguio City (February). The Flower festival symbolizes the rise of Baguio from the city’s devastating earthquake disaster in 1990. Pahiyas Festival, @ Quezon (May). It’s celebrated in honor of San Isidro Labrador, the patron saint of farmers. Outside houses and buildings, fresh fruits and vegetables are placed to show gratitude. MassKara Festival, @ Bacolod City (October). Street dancing, electronical displays and lots of street dancing. 19Karaoke is a national hobby. Everywhere in the Philippines you can unleash your singing skills in one of the karaoke bars or shacks by the roadside. Beating the locals in their own national sport might be trickier though. I personally don’t like karaoke at all, but hey, whatever makes you happy! Big Lagoon @ El Nido, Palawan. 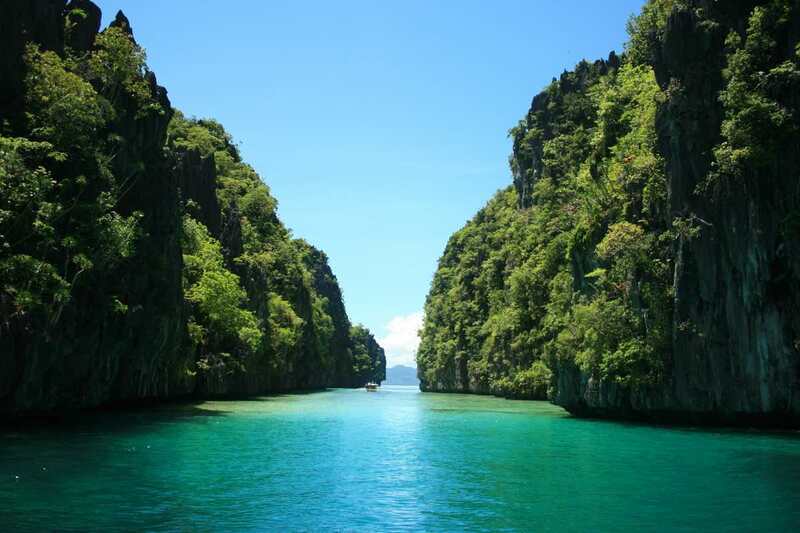 Travel+Leisure considered Palawan the best island in the world. Enough said. Located in the Western end of the Philippines, it has been getting a lot of attention in recent years. From the unreal underwater life, the geological formations in the Underground River and the tropical white sand beaches with inspiring sunsets, there are things here to keep you busy for weeks. And don’t get me started on El Nido. The limestone cliffs that rise from the sea come in all shapes and sized and create picturesque lagoons and coves to swim on. 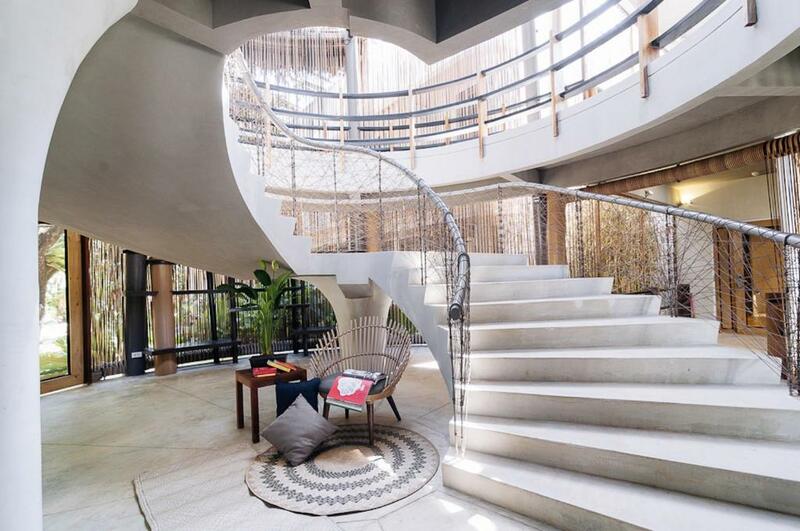 Although things are changing fast, don’t expect much luxury in Palawan and definitely not in the small town of El Nido. To make your life easier, I’ve put together a shortlist of the top-rated hotels and resorts in Palawan, with WiFi included. Enjoy! 21The food is good value. No, the food in the Philippines is not memorable as in Thailand or Vietnam. Not even close. But still very good value and an interesting blend of European, Asian and American culinary tastes. Fresh fish, lobsters and fruit are something to look at. Mangoes in particular are praised as the best in the world. They’re such a big thing that is illegal to take mangoes from one state to another to avoid cross-pollination. And they’re serious about it! In our journey to El Nido we got stopped by a road block and asked if we were carrying any! You can find some delicious typical dishes in the islands. Adobo: available in most of the islands. The sauce with vinegar, soy sauce, garlic and pepper makes it hard to go wrong with anything. The more popular is with chicken, but I’ve seen the fish and vegetarian versions too. Balut: boiled egg with duck embryo inside – only for the brave ones! 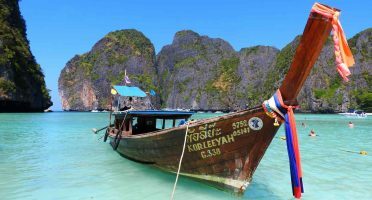 While not being dirt cheap like other places in Southeast Asia like Vietnam or some places in Thailand, exploring the Philippines is affordable. You can easily eat locally for less than 5USD. In some less touristy places, a beach-front bungalow can start at 30USD. Renting a motorbike can be as little as 8USD per day. It’s great value. The Philippines may be a beautiful country above water, but the underwater world is unlike something I’ve never seen. I will never forget the first time we went for snorkeling in Palawan and I put my face underwater and there it was: a real-life aquarium in front of me. We’ve also met other travelers who’ve been to the Great Barrier Reef and said the corals in the Philippines were a better experience. Bam! 24You can swim in some neat waterfalls. Cambugahay Falls @ Siquijor island. The Philippines is home to several picture-perfect waterfalls, usually with impossibly turqoise colors and surrounded by lush forest. They’re a great option to do a bit of trekking and take a refreshing dive in contact with nature. 25It has one of the New 7 Wonders of Nature. It was recently named one of the new 7 Wonders of Nature, together with places like the Amazon Rainforest or Halong Bay in Vietnam. Sunsets are really more fun in the Philippines. The golden – and sometimes pink, purple or red – hour were one of the highlights of my time in the islands. No matter how would I spend my day, I always stopped at the right time to religiously watch nature’s best show. 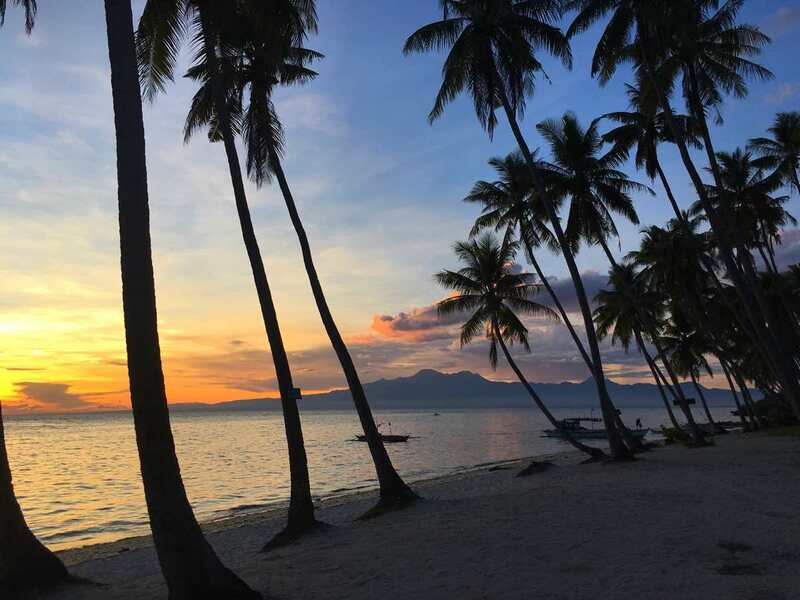 And I did watch some of my best sunsets ever there – particularly in El Nido‘s Las Cabanas and in the San Juan province in Siquijor. 27The time to go is now. Many consider the Philippines to be like Thailand used to be 20 or 30 years go. We all know Thailand can be a victim of its own success when it comes to massive tourism so this can be a haunting thought. I really hope the Philippines doesn’t go the same way soon and we still have many years left to come to enjoy the real and authentic version of this country. 1. Fees. Seriously, the country should be renamed to FEE-lipphines. Expect to pay to park your bike everywhere, to enter public spaces or just to enter the airport building. 2. WiFi. It’s very hard to get a decent WiFi connection. In fact, in places like El Nido, just get to load your email inbox is a victory. Consider this if you have to do some work online while traveling. Start planning your visit to the Philippines! Head over to Kiwi.com – one of the best flight search engine nowadays – to find the cheapest flights possible. If you’re looking for affordable accommodation, I recommend having a look at Booking.com. So, did I put together enough reasons for you to visit Philippines? How high is on your bucket list now? Great blog Bruno, and the list is on point! As for sustainability, the current administration of Duterte is doing all its power to implement the laws. The laws are already in placed, they just have to be strictly enforced!. He started closing Boracay for 6 months and it’s reaping good results, but still a long way to go. The infamous Manila Bay is being rehabilitated and Filipinos in general are all in support through volunteerism. Other islands like El Nido and Coron are now following and implementing environmental law to avoid closure as in Boracay. I hope this will continue and crept in the entire country. I came across your blog while planning a trip to Croatia this summer. I am from the Philippines now living in Ireland, I guess I am lucky enough to have lived in and explored these two amazing countries, incomparable yet equally stunning in their own ways, if you know what I mean. Thank you for this wonderful article about the Philippines, suddenly I am missing home. It’s funny you have been to more places in my country than I have. I am going to follow your 10-day road trip of Croatia this summer, except maybe I will skip Zagreb and start somewhere in Zadar. Your blog is the most detailed I have read about Croatia. I will let you know how my journey pans out. Have you been to Ireland? You should come and visit this little gem of a country if you haven’t done so yet. The greatest flaw about the Philippines is Karaoke. Dreadful singers seem to feel the need to scream songs out of tune at maximum volume until all hours of the night. They turn it up so their horrible singing keeps people awake kilometres away. No regard shown for other people! Haha definitely karaoke is a national hobby. Definitely worth to check if the place you’re staying has any karaoke spot around! Thanks for sharing your experience in the Philippines. I discovered Cebu, Bohol,Panglao and Siquijor in December 2017 for the first time and I’m planning to return next April 2019 once again to the central visayas. There’s a lot to say about the Philippines and it’s lovely people that I completely fall in love. Reading your blog just brings me great memories like your motorbike ride in bohol. I learned a few bisaya words and every time I tried to speak with them in bisaya it turned in a comic conversation with lots of laughs. Hope the authorities can avoid turning the Philippines in the new Thailand at this time its totally different for better. In a country with more than 7000 islands there’s a way of doing the things correctly. I will always try to find a little gem like siquijor where everything is so relaxing and unexploited. I can’t say what I loved more during my holiday in the Philippines, but I can say the one I didn’t like it’s the whale sharks in oslob. Not because of those wonderful creatures ( I’m still impressed with their beauty) but it’s the way they do it feeding them and changing their natural habits. Hope they will put an end to this. Thanks a lot for sharing your experience Antonio. I’m not a passport/visa expert, sorry! Glad you enjoy the PH experience, Boracay is one of a kind so as the Palawan. Can’t wait to explore there again. Thank you for alerting me for the typo. I will be spending one year in Shanghai starting September and I know for sure that I will have lots of time to travel around Asia. I have high expectations for Philippines, it seems such like an amazing country and the fact that there all about sustainable travel really makes me want go there. Currently I am working for an events company in London that lists many trips / travel related events around the world and I am always seeking new activities to do when I am abroad; swimming with whale shark must be really impressive. Exciting times ahead Juliette, for sure you’ll get to explore a lot of Asia! I would actually advise AGAINST whale shark tours in Oslob because it’s not a sustainable activity. The sharks are fed daily by humans which made them completely unable to hunt on their own; plus, some stupid tourists do anything for a selfie and end up hurting them. Love this post, makes so much sense 🙂 Such a variety of awesome views and amazing goals that you truly can’t get enough! You’d need MONTHS to properly explore the Philippines, can’t wait to go back! Thanks for this post. These days I’m running a glamping site, The Birdhouse, in El Nido. Some of what you mentioned is true but I laugh at the idea that the Philippines is creating sustainable travel. The illusion seems to be there. Living in El Nido I’m more and more heartbroken at the wrecklessness of the local government and regulation in the area. I’m not optimistic but we’re doing as much as we can to help prevent more rubbish go into their landfill. I do appreciate you writing about the whale sharks and I try to discourage people from going to Donsol and Cebu to do this. This is terrible. Regardless, I do appreciate you highlighting some great aspects of the country and the culture. The diving sites in the Philippines are unlike any other. Completely agree with you. Never seen such a beautiful underwater world! Very Creative!!!! Amazing bucket list you shared with us. You captured wonderful pics in your trip. Thanks for sharing it.